Wearable Technology Update | Passing Through . . . .
Cuff, the maker of fashionable wearable devices, is emphasizing personal security as one of their main uses. Cuff, the maker of fashionable wearable devices, is emphasizing personal security as one of their main uses. There are two broad strains of wearable technology emerging: the doo-dads that proclaim their techiness from the wrists, faces and other body parts that they are fastened to, and those that try to conceal that quality. 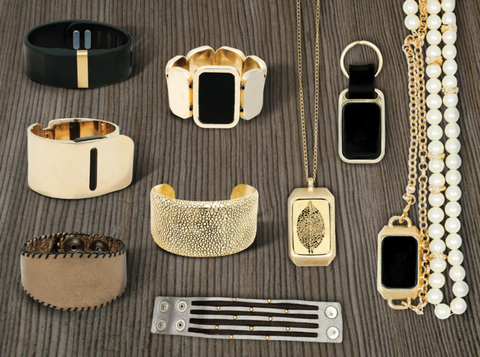 Cuff, a new wearable start-up in the San Francisco Bay Area, is making products firmly in the latter category. Earlier this week, the company unveiled a line of accessories that look more like the jewelry featured in an issue of Vogue, than hardware from the pages of Wired. There are bracelets made of leather and metal with names like The Lena, The Carin and The Mia, necklaces (The Lisa, The Soleil) and keychains (The J and The G). These are not, in short, Google Glass or Samsung’s Galaxy Gear, the high-tech eyewear and smart wristwatch that telegraph their nerd cachet as if they were screaming it through a megaphone. Cuff’s line of accessories, which range from $50 to $150, don’t try to do as much, technology wise, as those other wearables do. They act a bit like remote controls for the smartphones that they connect wirelessly to and on which they depend for access to the Internet. Initially the company is emphasizing personal security as one of the main uses of the devices, Cuff’s founder, Deepa Sood, said in an interview. The technology inside Cuff’s line of accessories includes a battery that lasts a year so people don’t have to recharge them constantly. The technology inside Cuff’s line of accessories includes a battery that lasts a year so people don’t have to recharge them constantly. A woman who encounters a threatening situation on the street or elsewhere can press her finger to a Cuff bracelet on her wrist, which will then send an electronic distress signal to one or more people she has authorized through the Cuff app to receive those messages. The signal will reveal her physical location. A senior citizen can do the same if they’ve fallen and can’t get up. A wearer of a Cuff accessory can program any number of other actions to occur on their smartphones — for instance, a tap of the wrist can send an automated message alerting family that the wearer is driving home. 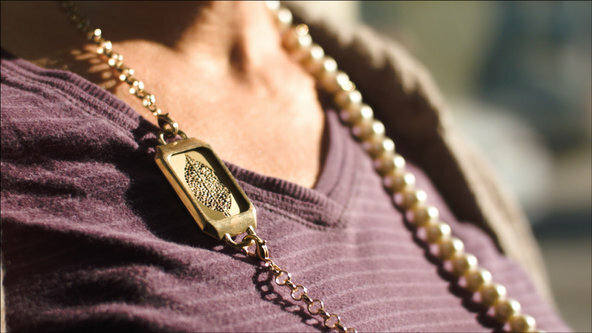 A text message or email from a spouse or parent can vibrate the accessory. The technology inside the accessories includes a battery that lasts a year so people don’t have to recharge them constantly. There’s an accelerometer chip inside them which will allow Cuff to later turn on walking- and sleep-monitoring functions like those in the Jawbone Up, a bracelet that people use to keep track of their daily activity levels. Underlying all of the Cuff accessories is a belief that there needs to be a higher fashion quotient to wearable technology if people, especially women, are to wear them, said Ms. Sood, who was previously the vice president of product development at Restoration Hardware, the furniture retailer.